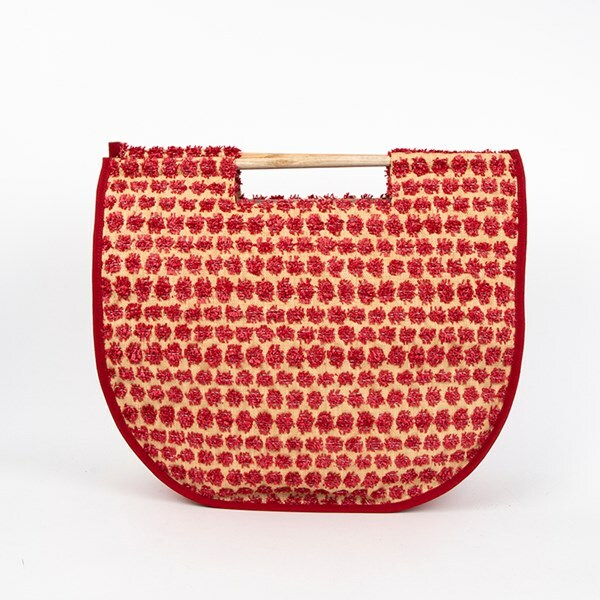 Be different and make a statement with our Raffia Spot Tote Bag! Sure to be a go to for an effortlessly cool summer style! Vegan Suede, Woven Man Made Material, Raffia, Timber. L: 41cm, H: 40cm, W:10cm.